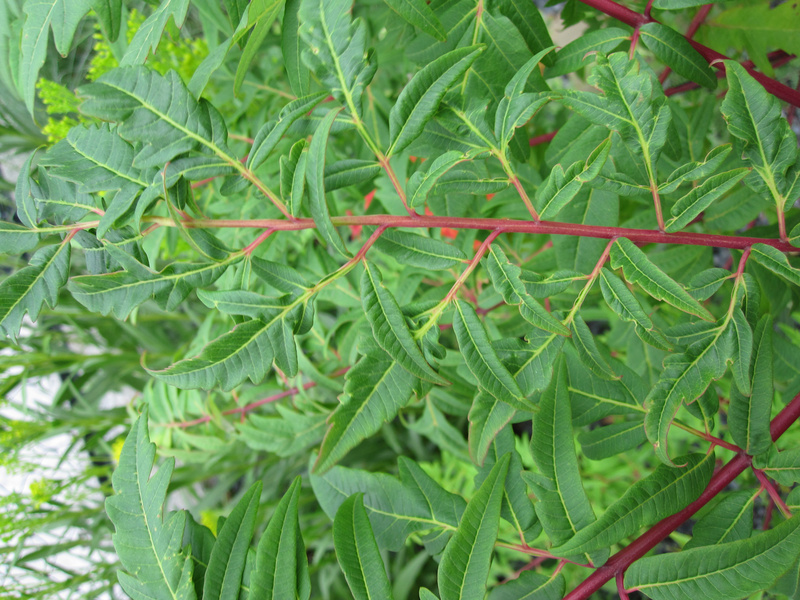 Rhus typhina, the staghorn sumac, is a small colonizing tree native to eastern North America. It is in the family Anacardiaceae, which includes cashews, pistachios, and poison ivy. While autumn is usually the prime season to highlight sumac species, staghorn sumac is striking in winter, and easily identified by its antler-like structure, persistent burgundy seed heads, and dense, velvety reddish-brown hairs which cover the branches of the previous two years’ growth. Botanist Carl Linnaeus described this species as one with “rough branches like antlers in velvet.” Thus, its common name. The fruit of this tree can be steeped in cold water to make a delicious pink lemonade-like beverage. The roots, inner bark and leaves make an excellent natural dye. Beekeepers sometimes use the dried flowers as a fuel source for their hive smokers. On the High Line between 14th and 15th Streets.